FREE UK SHIPPING ON ORDERS OVER £150! FREE UK return shipping on unwanted items! Welcome to Outdoorhobbies Ltd we are UK based & have been trading since 2003. If you need help or want to order over the phone give us a call it's free! We offer to pay for returned items! Testimonials - It is nice to know you are doing something right! With over 20,000 hits per month we are in a very good position to help you sell your old or un wanted crossbow equipment or even place a wanted ad for that item that is no longer in production. If you would like to advertise any item we charge £29.99 until the item is sold. If you upgrade with us within 12 months of placing your advert we will credit the full price of your advert against your new order. We will pass you the details of all interested buyers, you then inform us when the item is sold. 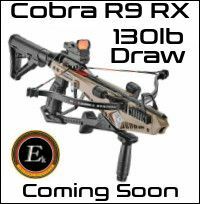 This service is free if you have bought a crossbow from us in the past (we refund your payment). 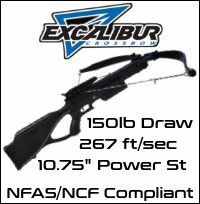 We are the best place for used crossbows for sale and wanted items as you can't sell them on ebay or in your local paper. To place an advert click here and you can enter all the relevant details then respond to your confirmation email with a photograph and your advert will be added within 24 hours. For a full list of the terms and conditions please click here, in placing an advert or responding to an advert you agree to adhere to the terms and conditions.